Foster dynamic, faithful communities that nourish, vitalize, and develop Christ's disciples in the Episcopal Church tradition. Fortalecer comunidades dinámicas y orgánicas que nutren, vitalizan, y promueven discípulos de Cristo desde la tradición de la Iglesia Episcopal. 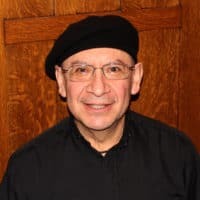 As Episcopalian Latinos we feel blessed to be part of the Diocese of Oregon, because together we are taking the actual challenges as moments of grace, opportunity for healing, and a space of reconciliation. We are proud to be part of this Diocese, because even when we are frightened by the unknown, we trust in Christ and the Holy Spirit to be our strength and comfort. In many congregations, guided for our mission, we are experiencing transformation and nurturing ministries with children, youth, and families. Our Diocese is open to have, and embrace, many expressions of being the Body of Christ.